College fee is INR 35,000 per annum but you will get reimbursement. Scholarships are available. Student gets the scholarship around INR 35,000 per annum. Around 88/100 students get scholarships. There is no need of loans. 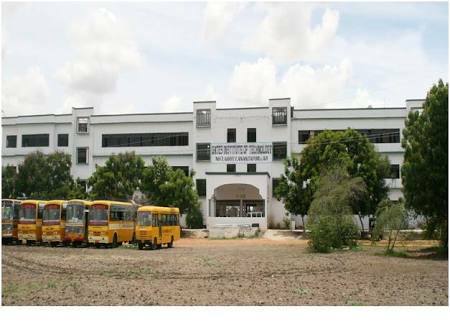 Gates Institute of Technology, Gooty was developed under the aegis of Gajjala Raghunatha Reddy Educational Trust in the year 2001. 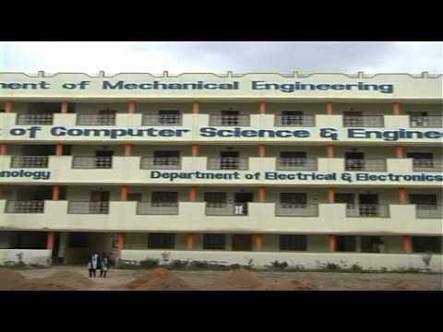 It is self financing engineering college spread over 25.33 acres of land in Gooty, Anantapur. College is one of the leading technical institutes in the region and is the first college in South India to be powered by “Solar 150KW” Power. College has received many accolades in education and training sector. 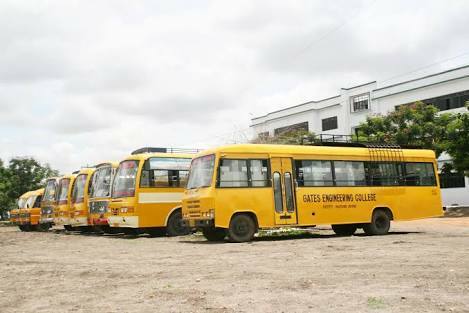 With a vision to attain leadership in quality technical education, research and innovation and to contribute the society with excellent technocrats, GATES institute of technology was established under the aegis ofGajjala Raghunatha Reddy Educational Trust in the year 2001 at Gooty, Ananthapur.It is a preferred destination for the students to study both UG and PG courses. The college is situated 5 kms from Gooty towards Ananthapur on NH- 44. Being the railway junction Gooty has an easy access from other cities apart from the good road connectivity. Sprawling campus spread over an area of 25.33 acres, provides an ideal ambience to stimulate the teaching-learning process, helping in bringing out skilled and disciplined Engineers. It motivates the students to participate in different areas where their skills are enhanced to meet today’s demanding challenges. 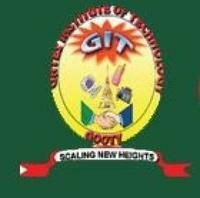 GIT is affiliated to JNTUA, Ananthapur, Andhra Pradesh and also approved by AICTE, New Delhi. CAREER 360 MAGAZINE has rated GIT with AA as being one of the best four colleges in Rayalaseema region, and it also stood at 33rd position in the list of the best engineering colleges in the state of Andhra Pradesh by virtue of placements. GIT is the first institute in the entire state of Andhra Pradesh which took the initiative to help mother earth & in order to become self reliant in terms of power consumption, established its own solar energy plant with an investment of Rs. 1 crore. It gets uninterrupted power supply. As far as Courses are concerned, it runs under graduate courses in 4 streams Mechanical Engineering, Civil Engineering, Electronics and Communication Engineering, Computer Science Engineering. & also post graduate courses like MBA & M.TECH . GIT provides a great opportunity for academic progression, personal and career development. Since its inception, placement activities are in full swing and many leading companies like- Tech Mahindra, Infosys, Wipro conducted written tests and interviews. Many students got selected and have been placed in good position. Motivated by a strong desire to provide students of diverse social and cultural backgrounds with the opportunity to enjoy quality education that would eventually lead to the upliftment of the society on a whole. These, we will achieve through the sustained team effort and a sense of devotion.